God is another name for human intelligence raised above all error and imperfection, and extended to all possible truth. It’s the imperfections that make things beautiful. As a real person, he wouldn’t last a minute, would he? But drama is about imperfection. And we’ve moved away from the aspirational hero. We got tired of it, it was dull. If I was House’s friend, I would hate it. How he so resolutely refuses to be happy or take the kind-hearted road. But we don’t always like morally good people, do we? My fans like my flaws and imperfections, and that I’m rebellious. So much of our lives is given over to the consideration of our imperfections that there is no time to improve our imaginary virtues. The truth is we only perfect our vices, and man is a worse creature when he dies than he was when he was born. People often called us perfectionists, but we were not looking for perfection. We were looking for some kind of magic in the music. 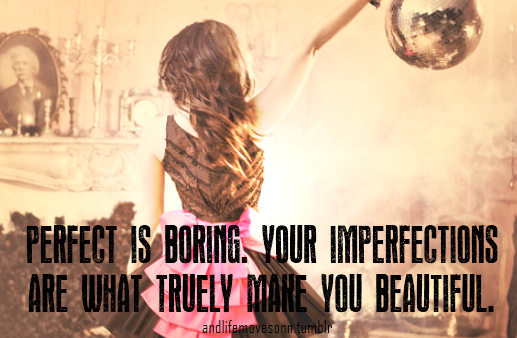 Perfect is boring. 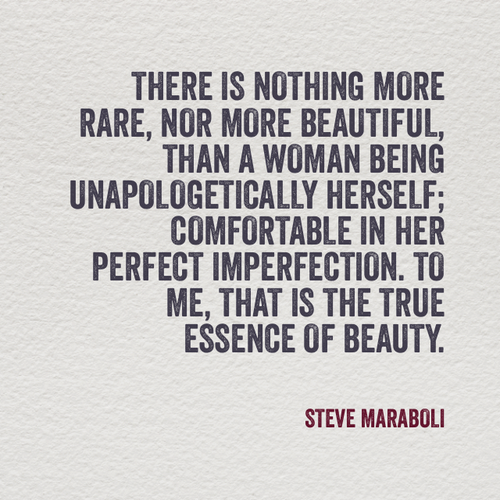 Your imperfections are what truely make you beautiful.